Below you fill find all funeral homes and cemeteries in or near Republic. Republic is also known as: Greene County / Republic city. Zip codes in the city: 65738. Some of the notable people born here have been: (ross carter). 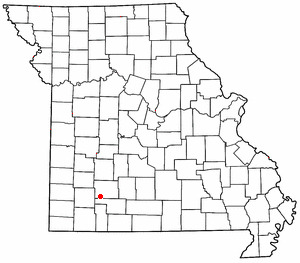 Republic is a city in Christian and Greene counties in the U.S. state of Missouri. As of the 2010 census, the city population was 14,751. It is part of the Springfield, Missouri, Metropolitan Statistical Area. It was reported by Napa Valley Register on October 4th, 2018 that William "Bud" Gross passed away in California. Gross was 90 years old and was born in Republic, MO. Send flowers to share your condolences and honor William "Bud"'s life. It was written on January 10th, 2015 that William Glenn Sr Hooper passed away in Republic, Missouri. Hooper was 75 years old. Send flowers to express your sympathy and honor William Glenn Sr's life. It was noted on September 11th, 2014 that Sharon Anne Peterson (Delong) passed on in Republic, Missouri. Ms. Peterson was 76 years old and was born in Sapulpa, OK. Send flowers to share your condolences and honor Sharon Anne's life. It was reported by The Daily News on August 18th, 2014 that Helen Mae Waddle (Green) passed on in Spokane, Washington. Ms. Waddle was 92 years old and was born in Republic, MO. Send flowers to share your condolences and honor Helen Mae's life. It was noted on January 27th, 2014 that Alene Mae Burt passed on in Republic, Missouri. Burt was 97 years old. Send flowers to share your condolences and honor Alene Mae's life. It was disclosed by Topeka Capital-Journal on August 13th, 2013 that Pauline Shuler (Mooneyham) passed on in Topeka, Kansas. Ms. Shuler was 70 years old and was born in Republic, MO. Send flowers to express your sorrow and honor Pauline's life. It was noted by Bell Banner on November 28th, 2012 that Allan Satterfield passed on in Republic, Missouri. Satterfield was 86 years old. Send flowers to share your condolences and honor Allan's life. It was disclosed on November 2nd, 2012 that Elizabeth Ann Puett (Lamott) died in Republic, Missouri. Ms. Puett was 86 years old. Send flowers to express your sorrow and honor Elizabeth Ann's life. It was disclosed on April 1st, 2012 that Joan Gladys Miss Perry perished in Republic, Missouri. Perry was 67 years old and was born in Windsor, VT. Send flowers to express your sorrow and honor Joan Gladys Miss's life. It was disclosed by Arizona Republic on March 29th, 2012 that Alfred A Criswell died in Arizona. Criswell was 101 years old and was born in Republic, MO. Send flowers to share your condolences and honor Alfred A's life. "Name of Consolidated Municipality - The name of the consolidated municipality shall be "City of Republic." To help preserve the identity of the Village, the City will place signs with text “Village of Brookline” at the current corporate limits of the Village. Originally, Brookline was to retain its own identity, but the city limit signs have since been changed to Republic's. Placement of signage is subject to State sign regulations when placed in State right-of-way. The official website for the city of Republic is http://www.republicmo.com/. online condolences meadors funeral home republic mo? We work with local florists and flower shops to offer same day delivery. You will find budget sympathy flowers in Republic here. Our funeral flowers are cheap in price but not in value.